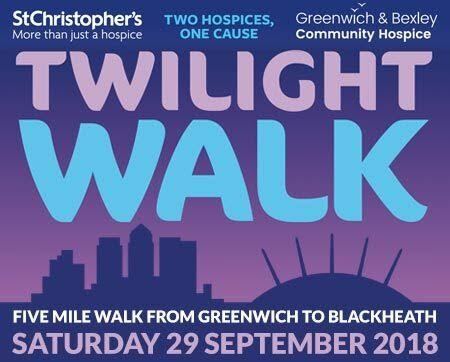 St Christopher’s and Greenwich and Bexley Hospices are combing forces to organise a 5 mile walk evening walk around Blackheath and Greenwich. They are hoping that as many local residents as possible will support their local hospices and take part. All the money raised from this event will go directly to St Christopher’s and Greenwich & Bexley Community Hospice, allowing them to care for their patients and those close to them in south east London.